Everyone loves to try out a new coffee brewer, but in all honesty the grinder is perhaps your most important piece of brewing equipment. 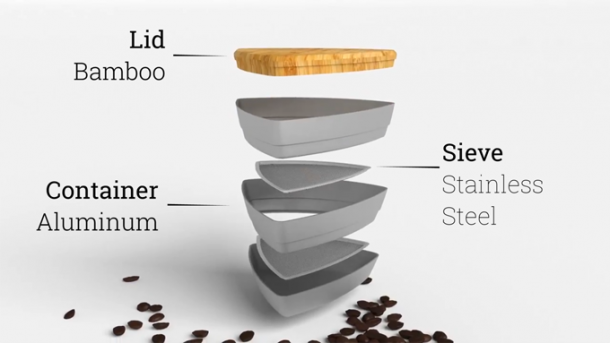 When you grind coffee, even the best grinders produce a range of different particle sizes. The less size variation you have, the more evenly you’ll extract flavor from your coffee and the better it will taste. This is why those cheap $20 blade grinders you grew up with rarely give good results – they produce a huge range of grind sizes, from dust to boulders. If you don’t have one already, you should be using a burr grinder like the Baratza Encore or Virtuoso. Once you’ve got that box checked, short of investing in an even better grinder, the next way to achieve greater consistency is to sieve your grounds. Until now, that has been expensive and cumbersome. 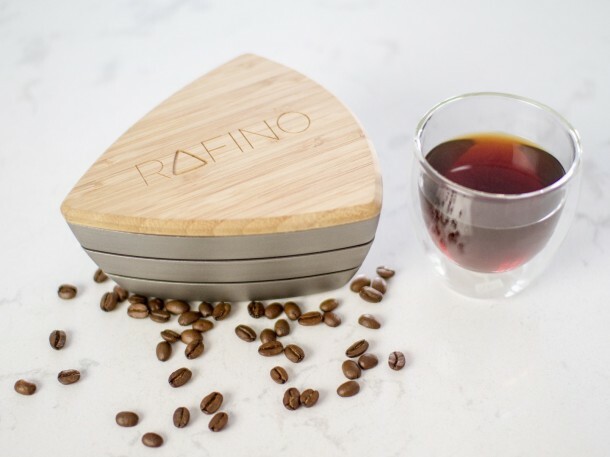 The new Rafino Grind Refining System is currently raising funds to launch a product that offers a more affordable tailor-made solution for coffee drinkers. With a system of different sized sieve inserts, you choose a target size, dump your grounds in, shake, and then pour out the refined grounds to brew your coffee. Read more on the extensive Kickstarter page. Backers at the $38 USD level receive a Rafino with 400 and 800 micron sieves. Looks like a good product! The shape and size looks just perfect for handling. Will be getting one to try out, thanks for sharing! The parts are mentioned clearly but what part grinds the beans, I mean I see nothing that does the grinding part. Ah! recently the bean grinder on my machine just stopped working. I had to use a hand grinder but when I did the coffee was just terrible. So I can see how using a sieve like this would really help to ensure you have consistency in your ground coffee. It is an extra step but I think the result would be terrific taste wise. I will check out the Baratza Virtuoso as well. My next port of consideration is updating to a Jura Impressa f7 but there is a rather big difference in price so thanks for providing some good options. I agree that grinder process is the most important part of making coffee. It is not so pricey.So it is important to choose a best coffee grinder. Thanks for this awesome post.